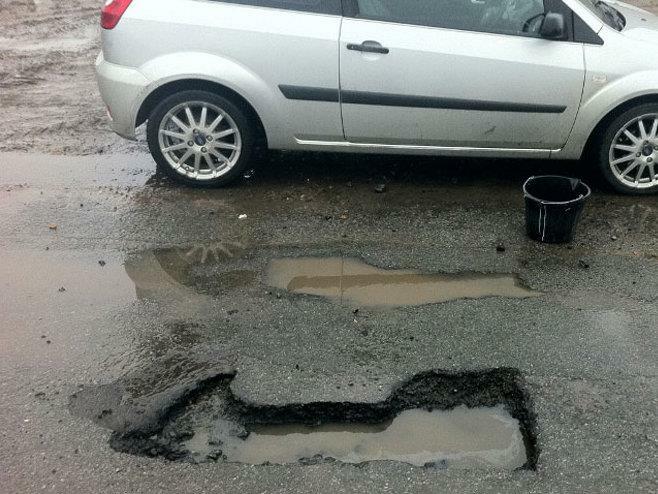 The number of potholes on UK roads reached a record level of over two million during 2010, according to a survey. Data collected from local authorities and highway departments show 2.2million potholes were filled last year, up 59% on the year before. Most authorities in England and Wales were unable to fixe potholes left after the prolonged freeze of early 2010 before snow fell again at the end of the year, according to the survey. The Asphalt Industry Alliance, which conducted the research, called on the Government to provide more funding for road maintenance.